Anna Fritz performs on Tuesday, Mar 13, at Arlene Francis Center, 99 Sixth St., Santa Rosa. 7pm. $8-$20 suggested donation. 707.528.3009. IN TUNE Anna Fritz has fused her love for classical music and the cello with her fondness for indie rock. Songwriter Anna Fritz's classical music training on the cello began at 6 and she continued that path academically through her college years at University of Wisconsin in Madison. Yet from a young age, Fritz musically immersed herself in folk and rock 'n' roll in her free time. And so when Fritz moved from the Midwest to Portland, Ore. just over a decade ago, she found herself quickly aligned with the city's independent music scene. Now Fritz is an accomplished ensemble player, sought-after studio musician and a celebrated solo performer. This month, she treks down the coast on a tour that lands in Santa Rosa for a show Tuesday, March 13, at the Arlene Francis Center. 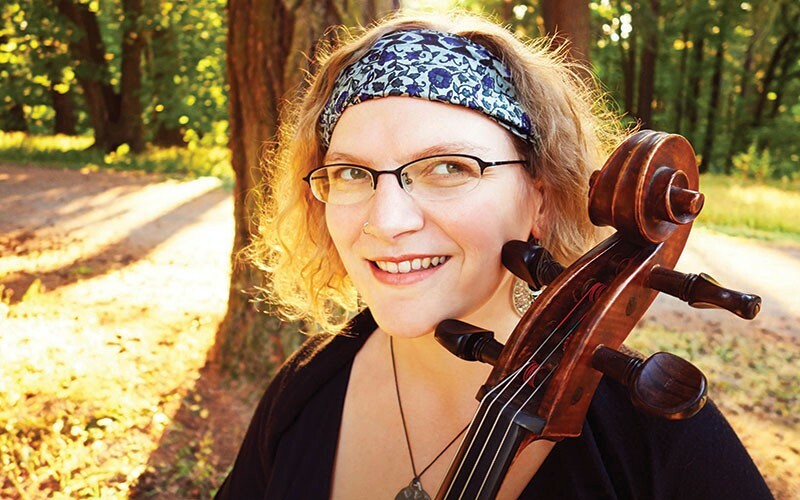 Fritz's experiments with the cello began in earnest when she co-formed the Portland Cello Project in 2007, and her credits include playing on albums by the Decemberists, My Morning Jacket and others. Fritz says solo songwriting is where her heart is, and her original tunes pack an emotional punch lyrically with themes of spirituality, racial justice, climate change, gender identity and more. "I have the feeling like songwriting is about connecting to something much larger than myself," she says. Fritz also says her creative process as a songwriter is influenced by her spirituality and her activist streak. "Having a social conscience and helping to make the world around me a better place has been a lifelong value," she says. "A lot of the music that has moved me in my life has been music that lifts up social movements. I feel that's an important part of my work as a songwriter; providing tools to people who are working for change."